Three US experts say public conversation should begin now on the ethical questions raised by a new fertility technology that could reprogram any human cell into eggs and sperm. In the future, the technology of in vitro gametogenesis (IVG) could 'reprogram' adults cells, such as skin cells, into functional gametes to produce embryos. Writing in Science Translational Medicine, the authors warn IVG could lead to unique regulatory challenges and they call for debate on its prospective use and impact on society. 'There's something troubling about an inexhaustible supply of gametes that can be fertilised into an inexhaustible supply of embryos,' said Dr Eli Adashi of Brown University, who authored the editorial with Professor Glenn Cohen of Harvard Law School and Professor George Daley of Harvard Medical School. IVG is still far from human clinical trials, but was successfully demonstrated in mice in 2016, by Japanese scientists. The procedure holds potential benefits for fertility treatment. It could make it unnecessary to harvest eggs for IVF, which may be limited in supply, and the associated health risks such as ovarian hyperstimulation syndrome. Gametes could be grown for patients who have become infertile through medical treatment, and genome editing could be used to correct mutations in the gametes of patients with genetic infertility disorders. Gametes would also be readily available for research. IVG could be used to produce new embryonic stem cell lines, personalised to individuals, without the need for donor eggs. However, IVG could also result in large numbers of embryos being produced and destroyed, potentially raising ethical and religious objections. 'IVG may raise the specter of "embryo farming" on a scale currently unimagined, which might exacerbate concerns about the devaluation of human life,' caution the authors. Parents undergoing fertility treatment could also have more 'choice' in the embryos they want to use, leading to selection for specific genetic traits. 'IVG could, depending on its ultimate financial cost, greatly increase the number of embryos from which to select, thus exacerbating concerns about parents selecting for their "ideal" future child,' said the authors. They also questioned how to prevent 'unauthorised IVG', where gametes could be created from discarded skin cells without the individual's knowledge or consent, and the legal ramifications of any children produced from this. Fact Sheet 2. 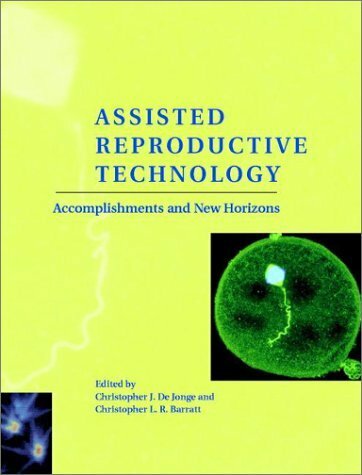 Re: Not Suitability To Use Artificially Created, Modified Or Reprogrammed Human Eggs (Or Sperm) To Produce Babies The artificially created, modified or reprogrammed human eggs (or sperm) include: human eggs (or sperm) produced by the techniques (or procedures) with human cloning, organ cloning, tissue cloning, embryonic stem cells, adult stem cells, induced pluripotent stem cells, egg stem cells and other germline stem cells, etc. 1. Dolly, the first animal of reprogrammed live birth, suffered from many kinds of diseases and with shorter life, which was the result of Somatic Cell Nuclear Transfer or called animal cloning (rather than germ cell nuclear transfer- performed by Dr. John Zhang, which was not reprogrammed and was not called cloning, and which was banned by FDA in year 2000). 2. All of the artificial sperm and eggs created from reprogrammed stem cells in human and animal research in recent 10 years showed abnormal functions although with normal morphology. 3. No one in the world, recently or in foreseeable future, can correctly and thoroughly reprogram stem cells (late totipotent and pluripotent stem cells) and differentiated cells back to be the normal germ cells (eggs or sperm). The reason are: A.	Reprogram is the reverse course of cell and tissue differentiating course. Thus reprogram is much more difficult than the differentiation of stem cells. (The example: a boat runs easier with stream and runs more difficult against stream.) B. The activation reagents which are used in reprogram the cells are toxic to after-birth human, and they are more toxic in germ cells to be reprogarmmed. C.	To thoroughly and correctly reprogram a (late totipotent, pluripotent or differentiated) cell to be a normal egg cell will need to perform correct and thorough methylation with correct dosage for all of the locations on every genes which need not to express their genes at the egg stage. At the same time, demethylation should be performed at the correct location of other genes which need to express their genes. D.	To thoroughly and correctly reprogram a cell to be a normal egg cell will need to perform much more difficult work: to remodel all chromatin configuration from the later or differentiated cell stages back to the egg cell stage. It will need to change amino acids to alter the shape of histones, which will need to perform correct and precise acetylation, methylation, ubiquitylation, phosphorylation and sumoylation. E.	Stem cell research, induced pluripotent stem cell (iPSC) research, egg stem cell research and tissue cloning are all using reprogram techniques to achieve their aim, in which tissue cloning techniques are the most thorough reprogram techniques. Even using the best tissue cloning techniques still could not reprogram a later cell stages back to the normal egg cell stage. F.	Now all of the stem cell reprogram techniques are based on genes related to cancer. 4. Any procedures in extraction and purification of germline stem cells or other stem cells will lead to DNA mutation. 5. Any long term in vitro culture, when over 3 to 7 days, will easily produce DNA mutation. If culture in vitro over 2 weeks, the cultured cells will easily produce chromosomal abnormalities. The longer culture time, the more abnormalities will happen. The reasons are: A. Most of the culture dishes and pipettes are toxic with benzene rings; B. The air and water quality and concentration are much worse than those in vivo fluid; C.	Any degradation from amino acids, proteins, RNA and DNA will harm normal functions and structures of proteins, RNA and DNA; D.	Any environment and nutrition differ from the in vivo natural conditions will lead to DNA mutation and chromosomal abnormalities. E.	Antibiotics using in the culture media and infectious factors (fungi, bacteria, mycoplasma, and virus, etc.) will lead to abnormal proteins, RNA, DNA and chromosomes. 6. No techniques can restore the telomere length of the stem cell to the normal telomere length in the normal human eggs, which is related the longevity of human life. 7. In vitro meiosis will lead to DNA and chromosomal abnormalities. 8. For the aim to solve patient’s infertile problem, it is not worth changing human being. This is a part of letter sent to U.S. FDA Director on March 22, 2013, RE: “Protect Human beings in Heredity” by Ke-Hui Cui, M.D., Ph.D. Please also read: 1. “HUMAN BEINGS SHOULD NOT BE CHANGED IN HEREDITY” published on ivf.net 18 October 2016 comment for “Mitochondrial replacement therapy and the welfare of the child” response on 02 November 2016. 2. “CHANGING HUMAN BEINGS IN HEREDITY IS MISLEADING AND INFAMOUS” published on ivf.net 01 November 2016 comment for “ ‘Three-person babies’ grow up into healthy teenagers” response on 07 November 2016.